At Capital StreetScapes we manufacture almost any custom street sign or traffic sign in high intensity, engineer grade or diamond grade reflective sheeting. 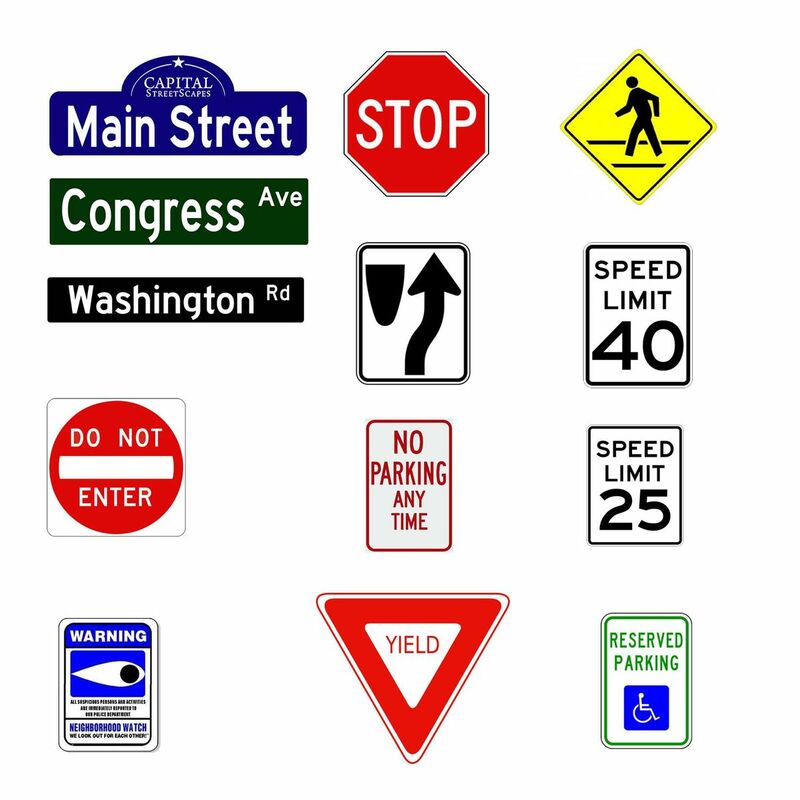 The styles and types of decorative street signs we manufacture are too numerous to show here. Read "Know Your Retro" in our Resources section if you would like a more detailed explanation on types of reflective sheeting. Use the signs with one of our cast aluminum decorative sign frames, with a backer, or mount the sign in a stand alone fashion. It's up to you to create the best decorative street sign style for your unique situation. All of our parts are meant to compliment each other and designed to create a custom look that is both beautiful and long lasting. Our sales associates will be happy to discuss with you how to determine which type of sign and material is best for your project. We have a street sign solution for every budget and will provide expert guidance along the way. Just give us a toll free call at (855) 339-7800 to learn more about our custom street signs.